Thinking Pink: Happy Birthday, Dad! 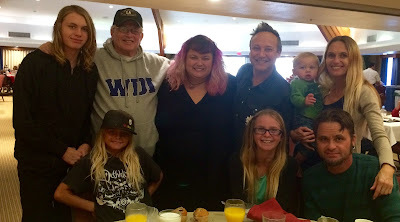 Not only is today Father's Day, but it's my dad's birthday, as well! It's a two-fer! 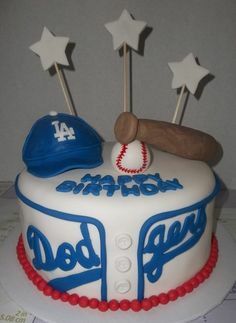 My dad is a huge Dodgers fan, so of course I had to try and find a cool Dodgers cake (please note this is just a picture, I did not make this). Sammy wants to give him lots of love in honor of these big events! How cute are they?!? The cutest! 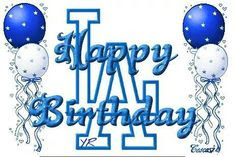 Hope your day is as amazing as you are, Dad! We love you so much!